A conveyor’s specific function, however, varies greatly according to the type of materials it is designed to transport. For example, some industrial conveyors are powered by electric motors, while others work completely without electricity, and require an operator to keep the system running. Furthermore, some systems are portable and may be broken down and reassembled quickly and easily. Two types of well-known industrial conveyors are belt conveyors and auger conveyors. Belt conveyor systems function using a rubberized belt that is wrapped around a series of rollers, some of which are connected to a motor that turns the rollers. After the motor turns the rollers, the rollers move the belt. Said belt, which is sometimes replaced with a metal chain belt or a plastic belt, must be tensioned properly in order to make sure it runs smoothly. If not, the belt may get caught on one or more components within the system. The next common industrial conveyor, the auger conveyor, features a large screw blade or auger that is contained within the system, usually inside a tube. As the auger conveyor turns, those contents in the conveyor are propelled forward along the length of the system. Contents of an auger conveyor are usually some form of fine particulate, grain or semi-solid material. These materials include: wood waste, wood chips, aggregates, cereal grains, animal feed, boiler ash, meat and bone meal and municipal solid waste. This system requires that the belt be laid flat or at a slight angle only in a straight line, because the auger or screw itself must be straight. 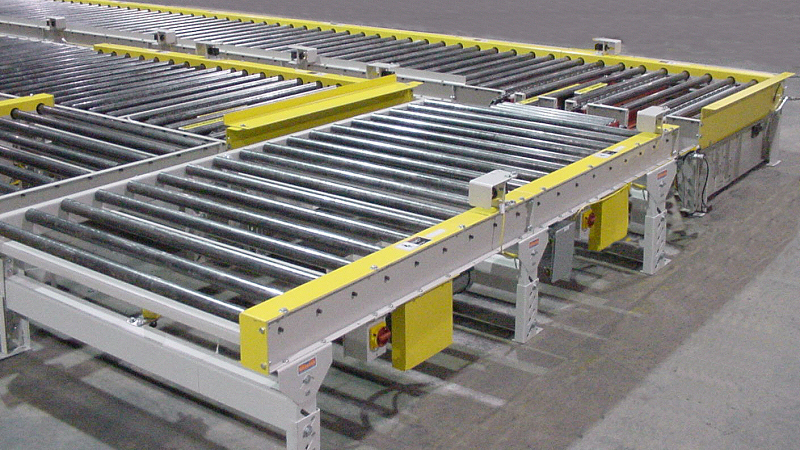 Some industrial conveyors are required to run around corners or in other non-linear fashions. 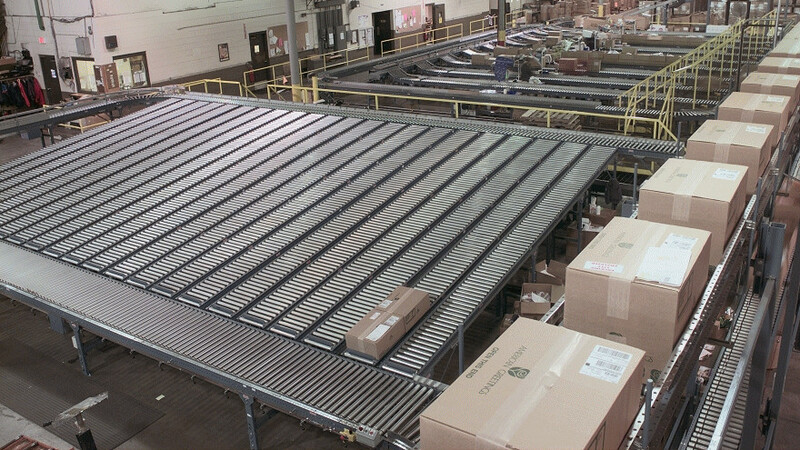 These industrial conveyors usually operate using a drag chain system. In this case, the conveyor contains a long cable or chain to which discs are attached. The cable or chain will pull the discs through the chamber where, in between each disc, material is loaded and pulled along through the system. In this system, there is little or no clearance between the discs and the side walls of the chamber, which prevents material from backsliding. For this reason, discs must be made from a durable material that will not succumb to friction. Consumer standard and custom options for industrial conveyors are nearly endless and those that are well-chosen and well-maintained will no doubt serve their purpose well for many years. Industrial Conveyors Industrial conveyors are machines employed by manufacturing companies. Their general function is to transport materials or objects from one fixed point to another within a certain space.